OPTIMAX, a multinational summer school for BSc, MSc and PhD radiography and physics students, had its 5th rendition in Oslo throughout August in 2017. It represents the only multinational and multiprofessional summer school of its kind in the world and it seeks to give participants a research informed teaching experience related to radiation dose optimisation in medical imaging. Outputs from each summer school include journal and conference papers and also a book. Following on from the Oslo summer school a new open source (free) book has been published (http://usir.salford.ac.uk/46104/7/OPTIMAX%202017%20ed.pdf). The editors include Dr Annemiek Meije and Carst Buissink from the Netherlands and Professor Peter Hogg from the University of Salford. The book comprises ten chapters, four of which are empirical research papers conducted during the summer school. 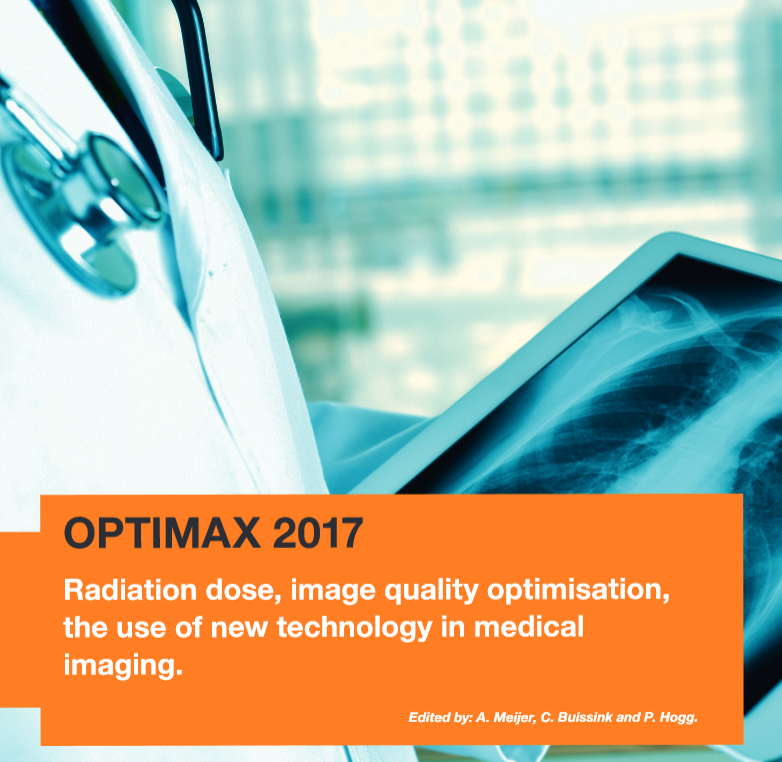 The remaining six chapters provide background information related to the optimisation of radiation dose and medical image quality. Chapter authors include all the students and tutors who participated in OPTIMAX 2017 and this year participants emanated from 8 countries. 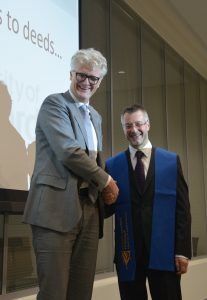 The photograph is of Professor Paul van Wijk (left), Pro Vice Chancellor at Hanze University and Peter. It was taken as part of the professorial inauguration ceremony. Professor Peter Hogg has recently been honoured with a Visiting Professorship at Hanze University, Groningen, Netherlands. The purpose of the Visiting Professorship is to develop a research and teaching relationship between Hanze University and the University of Salford with a particular emphasis on radiography. 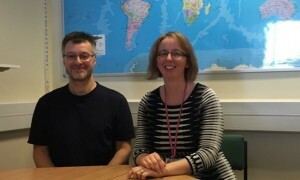 Over the next few years Peter will initiate discussions which should lead to honorary appointments for staff, teaching and student exchanges and also joint research. Peter believes the relationship will add value to our teaching and research portfolios at the University of Salford. The directorates of radiography in Hanze and Salford have been working together for over 6 years and so far they have co-authored over 30 conference/journal papers and published 3 books. They have a common research interest of radiation dose optimisation in medical imaging and Hanze has a major research emphasis on healthy aging, similar to the University of Salford. At the University of Salford Peter is our Professor of Radiography. 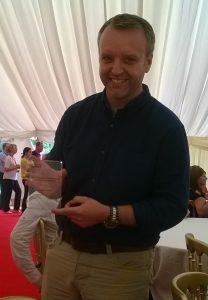 He is also Associate Dean Research in the School of Health Sciences and he leads the Diagnostic Imaging Research Programme within the Health Sciences Research Centre. 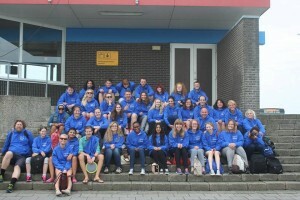 Now in its fourth year of running is the well-regarded three-week summer school, OPTIMAX. It comprises of team-based research to investigate real world research questions within medical imaging, giving students from all over the world the chance to try their hand at research with hands-on expert support throughout. The students and tutors come with completely varying professional backgrounds, including Computer Science, Physics, Medicine, Radiography, Occupational Therapy and Engineering. This year we have 59 participants, coming from Brazil, South Africa, Iraq, Portugal, Ireland, Norway, Switzerland, The UK, The Netherlands, Vietnam and Sweden. This year, OPTIMAX is being held in the University of Salford, but it has also been in Lisbon and Groningen. Below are the thoughts of some of this year’s participants on their time at the summer school. Over the last few years I have had many conversations with students stating that Andrew is brilliant at explaining some complex physics in a simple manner. He uses lots of props and analogies which the students find easy to understand. This is an important skill for a lecturer dealing with level 4 students of different backgrounds. University of Salford Directorate of Radiography Newsletter has gone digital! The newsletter has been updated and given a sleek webpage where articles are displayed as blogs and you catch up on the latest at your leisure. There will be new pieces added weekly and you will be able to comment on and discuss anything that interests you. Take a look and bookmark it now! Comments, questions or suggestions? Contact Dr Leslie Robinson. Radiography (ISSN 1078-8174) is an international peer reviewed journal of radiography and radiation therapy. In 2015, as the official Journal of the Society and College of Radiographers, Radiography was circulated in print to over 23,000 people. In 2015 there were over 10,000 institutions in 116 countries that had a ScienceDirect account that included access to the Journal and during 2015 more than 200,00 articles were downloaded from this platform. Each year, like many journals, Radiography’s editors select the best papers in their opinion. This is done objectively using set criteria. Last year, four papers were selected with one considered to be the best paper and three being highly commended / second place. Two of these four top papers were co-authored by Professor Peter Hogg and Dr Claire Mercer from the School of Health Sciences. Throughout August 2015 the third research summer school for optimising radiation dose and image quality (‘OPTIMAX 2015’) was held in Groningen, The Netherlands. Fifty three people participated, including PhD, MSc, BSc students and tutors from physics, radiography and nuclear medicine. Throughout the summer school five empirical pieces of research were conducted in multinational teams and these will be presented at the European Congress of Radiology, Vienna, Austria in March 2016. Read more…..